Orange Carnelian Agate Round Gemstone Beads. This lot of beads is not uniform in size. They range from 6.5-8mm. The color varies as well. Sold by the bag, 30 grams, approximately 50 pieces per bag. These beads are not strung. 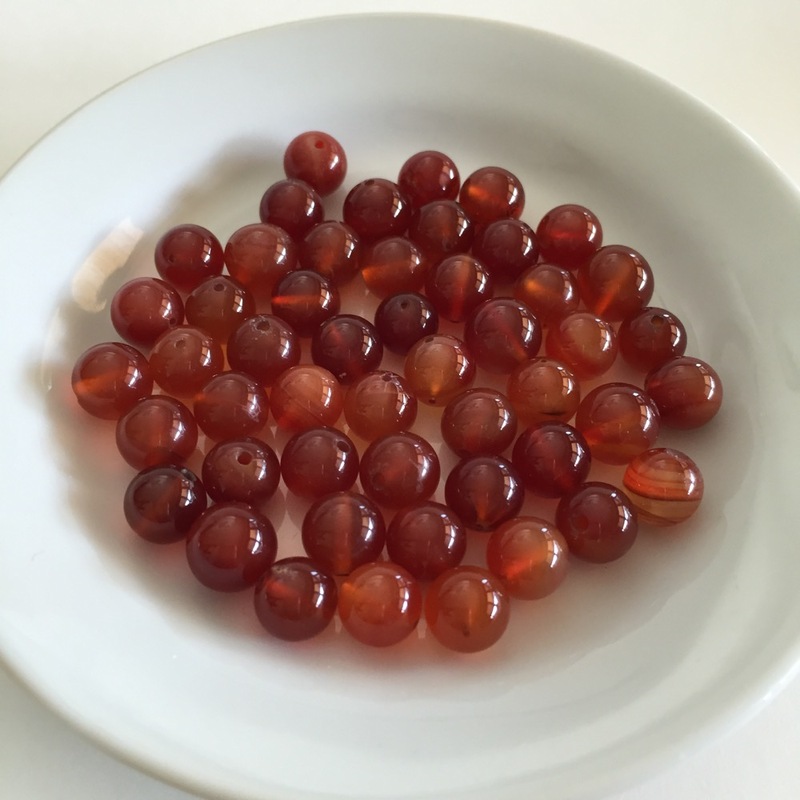 The are loose gemstone beads.